Traditionally, to study topics like race and social justice, college students have been obligated to declare their field of study in humanities or a social science like sociology or anthropology. But now, thanks to The University of New Mexico Institute for the Study of “Race” and Social Justice, graduate students from across the University are able to take a deeper look at those topics. The UNM Board of Regents recently approved the “Race & Social Justice Interdisciplinary Graduate Certificate,” a new 15-credit transcripted program designed to give students an understanding of contemporary and historic racial inequality in the U.S. and around the world. The institute’s Director, Nancy López, said they’ve identified more than 70, already existing courses at UNM that students will be able to choose from to fulfill the certificate requirements. Those classes are currently housed in a variety of departments, like History, Communication and Journalism, Sociology and many others. López said it’s that interdisciplinary approach that sets this program apart. “We are creating something that is going to allow for dialogue that may not be able to take place when students are confined to meeting requirements only in their specific degree program,” said López, who also co-founded the Institute for the Study of “Race” and Social Justice. 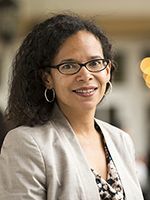 During the planning phase of this program, López said they were unable to find any other graduate certificate in the country that uses an interdisciplinary approach to study both race and social justice. To receive the certificate as part of their graduate education, students will need to take five courses in all. The catch is that they will be forced to take them from at least four different disciplines. For example, a sociology graduate student could take two of the five required courses through the Sociology Department. The remaining three courses, however, would all have to come from different departments, forcing the student to take an interdisciplinary look at the subjects. The Institute for the Study of “Race” and Social Justice was established at UNM in 2009 as an initiative within the Robert Wood Johnson Foundation Center for Health Policy. Its mission is to promote the establishment of empirical, theoretical and methodological clarity about "race" that draws on cutting-edge thinking from multiple disciplines and diverse empirical traditions. To support the work of the Institute you can donate via the UNM Foundation. Since its conception, faculty within the Institute have participated in a number of working groups to produce guidelines for researching race and held a National Institutes of Health workshop that resulted in the book, Mapping “Race” Critical Approaches to Health Disparities Research (2013), which looks at how race is conceptualized in health disparity research. But, López said she and other faculty didn’t want to stop there. So, in partnership with the Institute Advisory Board, many of whom are members of the UNM’s Diversity Council, the work to create the program began. This Spring 2016 the “Race and Social Justice Interdisciplinary Insights Project” has been meeting as a faculty collective to create a syllabus that advances interdisciplinary knowledge for a new course on the subject. Today, López said there are already more than 40 students interested and eligible for the certificate program—a number she believes will continue to grow once they begin publicizing it. They hope to have students enrolled in the program by Fall 2016 at the latest. For more information on the Race & Social Justice Interdisciplinary Graduate Certificate, read the Executive Summary or visit their website. To join the Institute listserve email: race@unm.edu.